How to Ensure Getting Good Score in CA IPCC Exam? 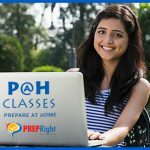 Home / Blog / How to Ensure Getting Good Score in CA IPCC Exam? CA or Chartered Accountancy program is one of the most prestigious yet difficult professional programs that students love to pursue for. Besides, it is challenging too! but if you really love to become a Chartered Accountant and already have passed the CPT, it’s time to get ready for IPCC (Integrated Professional Competence Course), an important part of CA. it’s tough to score good in this exam, but if you take proper preparation, you can surely be successful. Be positive – No, this is not the blood group; this is the approach you should adopt. Read books and study materials meticulously. You can study reference books but only the suggested ones. Understand the key points of the topic while getting any doubt cleared from your teachers. Take notes of whatever you study and revise them from time to time. This will let you sum up the main points and represent your understanding properly on exam papers. Plan well – If you can’t plan well in advance, you actually plan to fail. Think ahead of doing. Chalk out your activities considering limited time for different subjects. Maintain a diary where you need to mention the topics from different subjects to learn. At the end of your daily exam preparation schedule, note down what you have learnt on that particular date. Find out and try to eliminate all the reasons that make you deviated. If required, plan a strict strategy to remove the key cause of diversion. Get admission in a CA IPCC Coaching in Kolkata. Maintaining a study regimen of 12 to 14 hours is definitely good. But besides, you must prioritize your importance so as to keep up with the quality of study. Manage your time judiciously – Make use of your time properly. Keep a record of all the activities you perform from morning till you go to sleep at night. This helps you identify and eliminate unproductive activities from your daily routine and balance study time productively. Combine both coaching and self-study – As it comes to scoring good in CA IPCC, self-study is just inevitable along with taking tuition from a coaching certre to get proper guidance on different subjects as well as clarify the doubts. You may also choose group studies with your fellow mates and the seniors. Create a solid study program. Prepare for mock tests – Panic, fear, unnecessary apprehensions can have drastic impact on your study and your chance to score good in the final exam. But don’t be overconfident as well. Taking regular mock tests is the best way to win every negative emotional state. Be specific about your answer – Avoid writing lengthy answers. Rather make them precise. Also, don’t forget to mention notes and assumptions in the exam papers. Underline the keywords/key phrases to draw examiner’s attraction. Don’t overwrite. Prepare yourself well with the help of a CA CPT Coaching in Kolkata. These are just a few of many ways to excel in your CA IPCC exam. But the most important thing about scoring great in the exam is your health. Eat healthy, drink plenty and sleep well – keep yourself fit so you can give your best in the exam hall.